So, you’ve finally decided to install a brand new SSL Certificate on your website. That’s great news for your visitors, SEO rankings, and reputation. All you have to do now is pick an SSL provider (Certificate Authority), and you’re on the way to better security and a higher level of trust. Unfortunately, choosing the right Certificate Authority for your particular project is not always straightforward. With so many options on the market, doing your research may be a bit overwhelming, but fear not! Here, at SSL Dragon, we’ve compiled a simple, yet effective guide on how to evaluate various SSL Certificate companies. If you’re a regular reader of our blog, you already know that the SSL industry adheres to strict regulations and follows high-end security protocols. In this article, we’ll focus only on licensed and regulated Certificate Authorities. But if all SSL Certificate companies follow the same security rules and offer identical encryption levels, how can we differentiate them, and which one is better? This is a common question many website owners ask when considering buying an SSL Certificate. The answer lies in other non-security factors such as price, brand image, limitations, and additional features on offer. 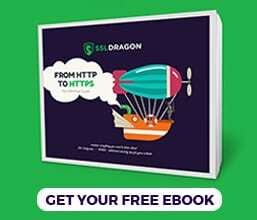 We’ve already analyzed the limitations of free SSL providers when compared to paid SSL products offered here on SSL Dragon. To recap, Certificate Authorities such as Let’s Encrypt, CloudFlare or Amazon offer free SSL Certificates with limitations or on strict terms. Let’s Encrypt is Domain Validation only, while both CloudFlare and Amazon certificates are tied to their main services, aren’t functional with other CDN companies, and are Domain Validation only. Every respected company looks carefully after its brand image. It’s crucial in establishing positive customer perception and dictates the pricing policy. Take Symantec for instance; this security giant is able to charge premium prices for its SSL products due to its longevity and enormous experience in all things connected to web security. Financial institutions and large corporations prefer Symantec over other providers when it comes to SSL Certificates. The great thing about SSL Certificates is their flexibility and affordability. Whatever your budget and project is, you won’t have any problems finding an excellent SSL product. As you already know, Symantec is a premium SSL solution, but on the other side of the pricing spectrum, you’ll also find high-quality certificates. Comodo is well-known for its competitive prices. 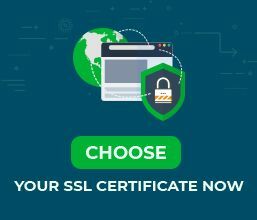 Trusted by millions of customers around the world, Comodo offers a wide range of SSL Certificates, starting from just $7,99 per year at SSL Dragon. Comodo is the preferred choice for small businesses, bloggers, portfolio and personal website owners. Another affordable Certificate Authority is Rapid SSL. You can read our review of this SSL Certificates brand at this link. Whenever you’re looking at a Certificate Authority and its products, pay close attention to the issuing time, server licensing, browser compatibility, site seal, and warranty. These aspects will differ from brand to brand and even from certificate to certificate of the same brand. Now you can compare various SSL Certificate companies and their products directly at SSL Dragon. All you need is our handy Certificate Filter. Browse and sort our SSL Certificates on offer by validation type, price or brand. Another way to compare the attributes of two or three SSL Certificates that you like is to click the “Add to Compare” button under every SSL product. Once you’ve chosen a couple of certificates scroll down and click the “Compare SSL Certificates” button. A new window will pop-up showing you the difference in specifications between your selected products.